It was great to meet our customers and demonstrate the latest new features across our product range at two recent US shows: Interop in Las Vegas and Brainstorm in Ohio. 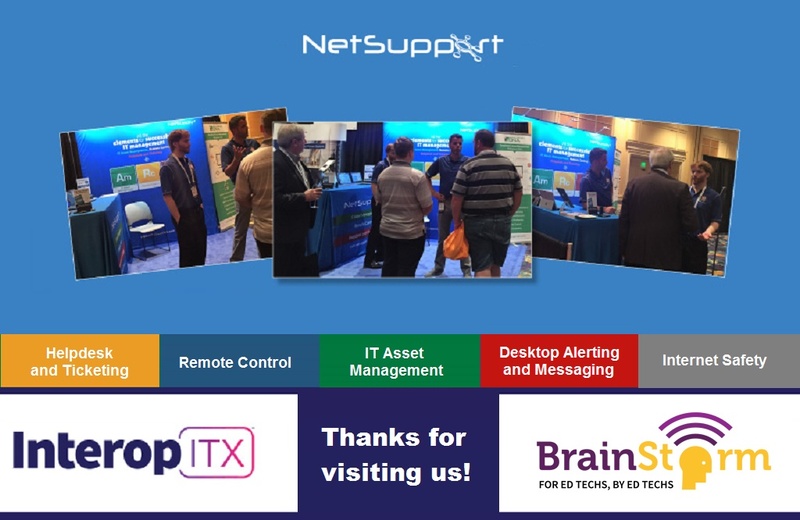 At Interop, a conference for businesses to explore the latest IT solutions, customers and visitors saw demonstrations of IT Asset Management solution, NetSupport DNA, and learned how easily school technicians can track, monitor and manage all IT activity from one central point. Meanwhile, at Brainstorm (which gathers education technologists from around the country to connect, inform, and inspire), delegates were interested to see classroom management solution, NetSupport School, and its latest performance enhancements for Chrome. To see demonstrations of our products, visit NetSupport at our upcoming events.